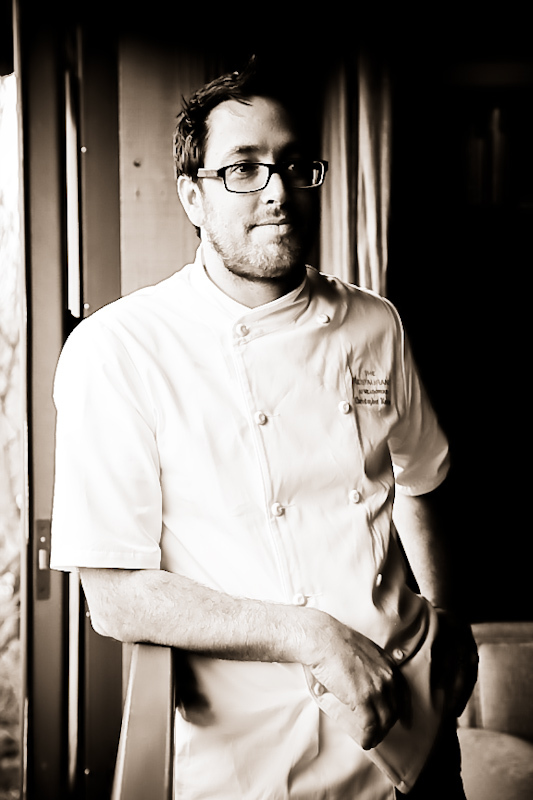 Christopher, a Chicago native, graduated from Hamilton College with a degree in philosophy before moving to the kitchen. He has cooked with celebrated chefs such as Trey Foshee of Georges at the Cove in San Diego, Campton Place in San Francisco with Daniel Humm and Le Jardin des Sens in Montpellier, France. After earning two Michelin stars at Chez TJ in Mountain View, Kostow arrived at The Restaurant at Meadowood in 2008. He has since been chosen as one of Food & Wine Magazine’s Best New Chefs in 2009 and holds an award from the James Beard Foundation for Best Chef: Pacific 2013. Christopher opened a new casual restaurant, The Charter Oak, in the Napa Valley in late spring 2017. Christopher lives in St. Helena with his wife Martina, his two daughter's Daisy and Lulu, and his dog Charlie.